December is rough for people missing loved ones – especially if this is the first year. The truth is that the 31st year is no joke either. Situational depression is real especially in times of unemployment, underemployment, grief, loss, regret. But mental illness is something different. When you have no energy to take care of yourself. When you self-medicate for the sake of getting through the day or night. When you work very hard to keep up appearances, do your job, plug along even though it’s exhausting. Most of the people I know who live with depression deal with more than situational sadness. It’s a chemical issue that requires professional shepherding. Shepherds are a part of the Christmas story and it’s interesting that people who were not considered particularly respectable would play such an essential role in an event that changed human history – whether you believe in Jesus or not. They are part of the narrative that’s repeated often in December. We need shepherds. We need someone to wrangle us back into the fold and protect us from wolves when we wander. Whether we are situationally grieving or certifiably depressed, we need shepherds. Can you be somebody’s shepherd in these weeks before and during and after Christmas? 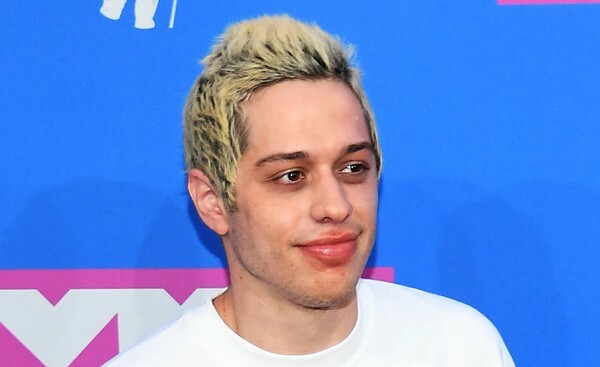 Image of Pete Davidson who has talked openly about his own mental illness. Ditto on the day-in, day-out trudge uphill that is mental illness. We do need shepherds, even if we may be the hardest TO shepherd.